The snow has stopped falling, but it's sticking around. Nevertheless, here's a bit more Viking Biking. Love these photos. Here in Australia it is, at present, too HOT to ride!! Not if you ride slow it isn't, and preferably on a sit-up bike like my old Gazelle. Doing so automatically makes you cooler by 10 degrees - at least in the mind! I live in Adelaide so I know what hot is. Oh, and don't wear a helmet. Mikael - are those temporary bollards in the top photo marking out the cycle lane? riding a bicycle in extreme heat is actually a great way to cool down, if you take it easy. yes, those bollards are marking the bike lanes, which are in the process of being widened. I am giving to others; my love radiates to all. I see the greatness in all situations and seek what will bring me joy. I was born to live a joyous life! 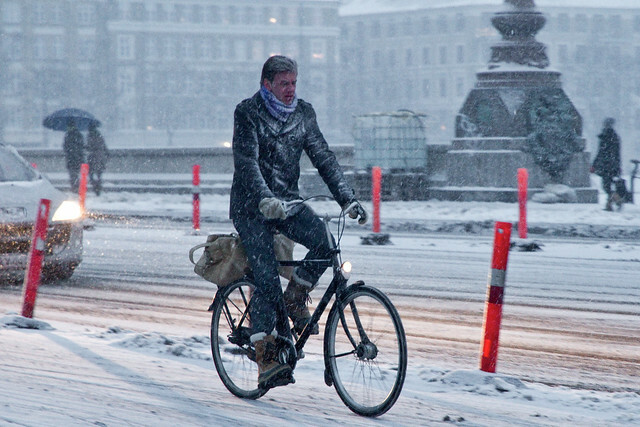 Hi, here is sooooo much snow and wind that people goes crazy when they see me riding a bicycle. 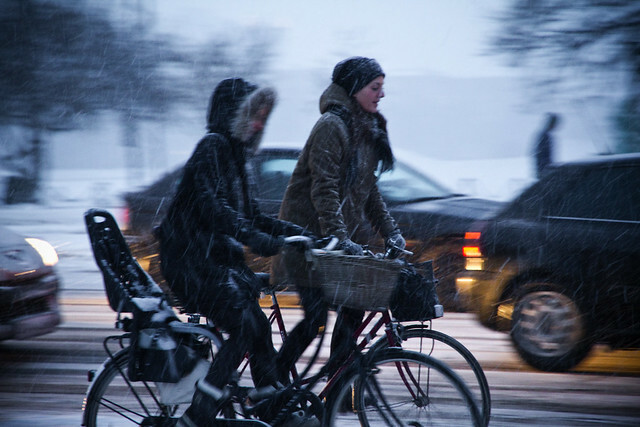 I love to ride with my bicycle in any weather. Especially extreme ones. OK. I'm feeling bad now 'cause I don't ride when it's too hot. Will go for a ride next hot day, and take it easy, but I'll have to wear a helmet otherwise I'll get fined!